We went to Abbotsford for Christmas eve dinner. 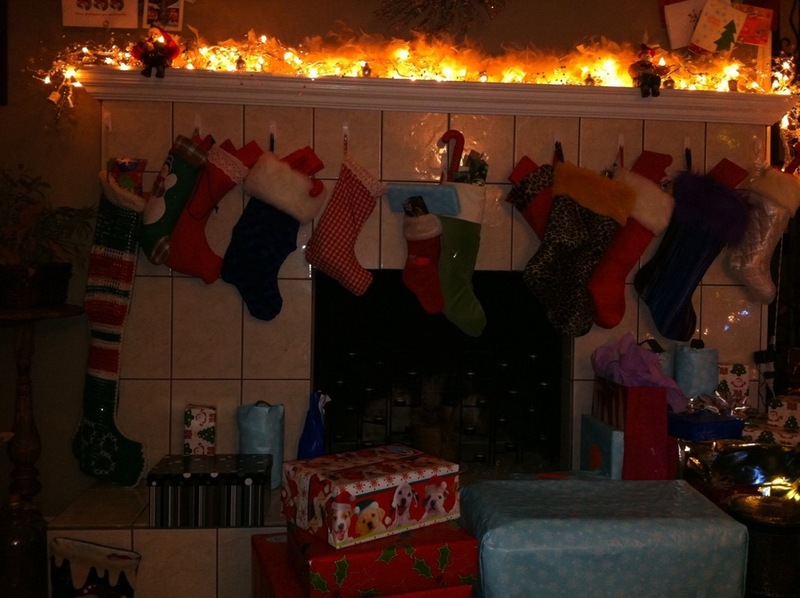 The comically long stocking on the far left is Ryan’s. 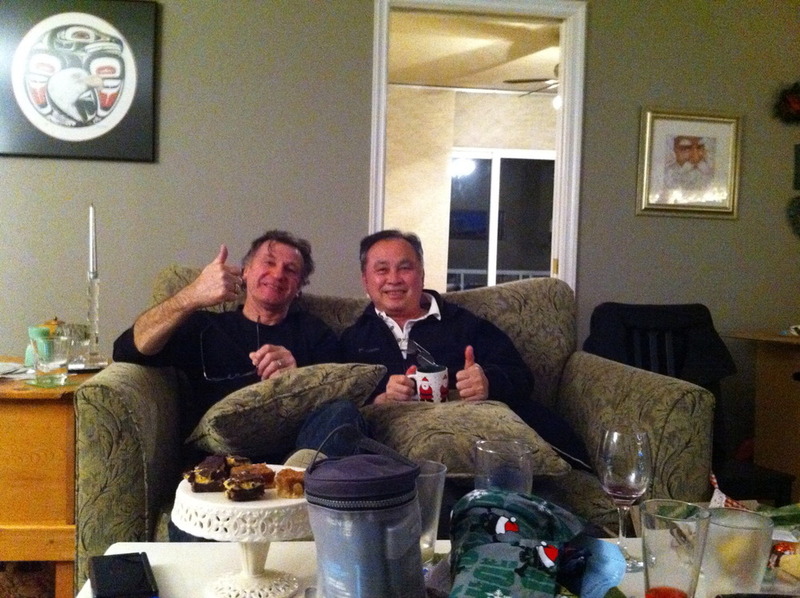 This is Ryan’s dad and my dad. And Vern hoping to catch some crumbs. 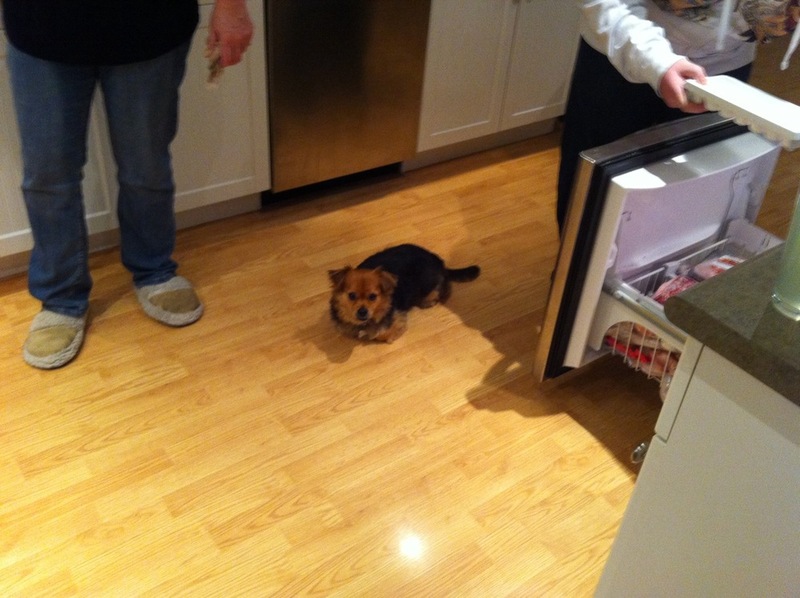 He loves to lay smack down in the middle of the most inconvenient spot…much like a cat. ← Cold outside isn’t it?